Mahatma Gandhi envisaged villages as self-sufficient republics. He knew that India lived in its villages which is why he stressed on the growth of the rural economy. 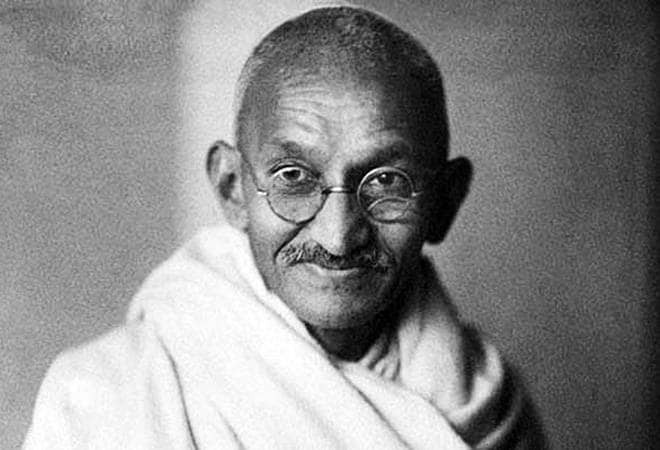 Mahatma Gandhi's economic views were humanitarian in nature stemming from his concern for the toiling peasants, factory workers and joblessness. Here are some of his beliefs which hold till today. Gandhi envisaged villages as self-sufficient republics. He knew that India lived in its villages which is why he stressed on the growth of the rural economy such as khadi, handloom, handicraft and sericulture. Rural industries were based on family labour and required less capital. Goods were sold in the local markets. In this way, production and market were both taken care of. This is why he advocated the establishment of cottage industries and recommended the use of rural products. According to him, the village economy would satisfy two important objectives. First, it would provide maximum employment and income to inhabitants, and second, it would generate equality, freedom and justice. His advocacy of the charkha was a way to promote gainful employment for an able-bodied individual. The charkha symbolised this view about how each person could earn their own livelihood and become self-reliant. The spinning wheel or 'charkha' soon became a symbol of Indian nationalism. It unified a diverse nation in various ways. He was a prominent advocate of dignity of labour and wanted to break down the boundaries between manual and mental work, rooted in the caste system. Gandhi talked of the containment of wants and famously said, "Nature produces enough to meet the needs of all the people, but not enough to satisfy the greed of any man." His idea of limitation of wants was contrary to classical and contemporary theories of economics which focused on expanding the goods space and satisfying unlimited human wants. He suggested two measures. First, that everyone should get sufficient work to make ends meet and second, that means of production of necessities should be under the control of the masses. "Recall the face of the poorest and weakest man you have seen, and ask yourself if this step you contemplate is going to be any use to him." This encapsulated Gandhi's compassion for and views about the poorest of the poor of society. He believed that nobody would be left wanting if everyone used just as much as was needed by him. According to him, large-scale production was meant to be profit-oriented and therefore, harmful for society as it could lead to concentration of wealth and power in a few hands. Gandhi advocated decentralisation because it could avoid violence. He suggested delocalisation of production as against concentration in particular areas. His beliefs on decentralisation were aimed at correcting all evils of a centralised economy. In 1946, Gandhi wrote: "I am not opposed to machinery as such. I am opposed to machinery which displaces labour and leaves it idle." He was not against machinery and welcomed such instruments and machinery that saved individual labour. But he was wary of technology-induced unemployment. Mechanisation was good till it did not render people idle and unemployed.